I want to show you how easy is to start playing around with FPGAs. 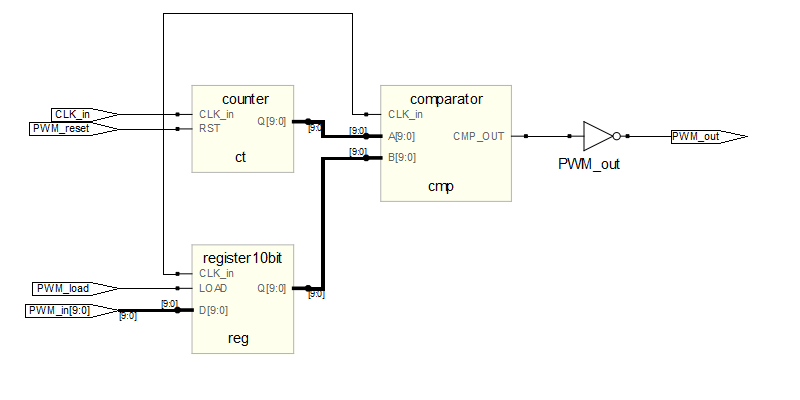 The following example is based on the Actel A3P250 Devel board programmed with the microJTAG board. The frequency divider makes the 'result' signal increment every 48K*2 ticks of the main clock (24MHz). 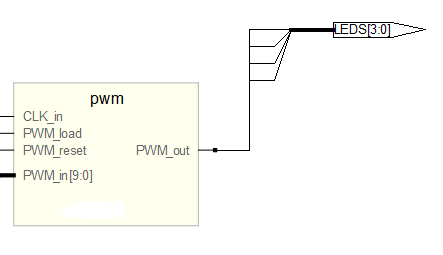 The 'result' signal is connected to the input of the PWM module which will load its value every time it changes because the LOAD signal is always '1'. The result will be that every 4ms, the PWM input will increment by 1 from 0 to 1023 (10 bit value). The PWM output - which is connected to all LEDs in the board - will take all values after 4 seconds and the cycle will repeat continuously.